Before you embark on a magical vacation to Disney World, check out this list of the best phone apps for a Disney vacation. Not only will you save time and money, you’ll get more out of your experience at the parks! Isn’t the power of mobile technology truly amazing? No matter what your needs, there seems to always be some sort of app out there that can help. And guess what? When it comes to helping plan your upcoming Disney vacation, there are apps out there that can help! Getting extra help to filter through all those amazing Disney rides and attractions is a great way to best utilize your time and resources. If you are looking for a few suggestions for some of the best phone apps out there for your upcoming Disney vacation, here are a few that you should most definitely check out! Who knew that Disney actually had their own app out there that was a great, true guide to everything that Disney has to offer? Interactive maps are just one of the great features that can help you navigate through all the amazing wonders of the Disney Park. Plus, you can also check on the wait times for all those rides that you are wanting to get on but not waste your time standing in line. It’s a great app that truly can make your vacation planning and activity organization a breeze! Looking for a fun Disney-themed app that can make your time at Disney a game as well? With Hidden Mickeys, you and your family can use the app to locate all those Mickey’s in hiding that is located all over the park. It’s a super fun and addictive way for your family to have another adventure while visiting Disney. Everyone knows that one of the best parts about visiting Disney is the availability and option to ride as many rides as you want and can squeeze in. But what many don’t consider, is that those wait times in the lines can be quite long! Rather than spend your time at Disney standing in line for hours on end, you can be out and about exploring other amazing activities at the park thanks to this easy-to-use app. All that you have to do is locate the ride that you are interested in riding, and it shows the expected wait time for you and your family to be able to ride. Talk about a super simple way to stay informed! If you are looking for any type of information related to Disney, this is the app for you. Packed full of information, facts, and photos it’s a great guide to help you and your family learn about and navigate everything that Disney has to offer. It’s totally possible to spend a large amount of time exploring everything that this app has to offer, so make certain to take some time before your trip to research and read everything that this awesome app has stored on it. 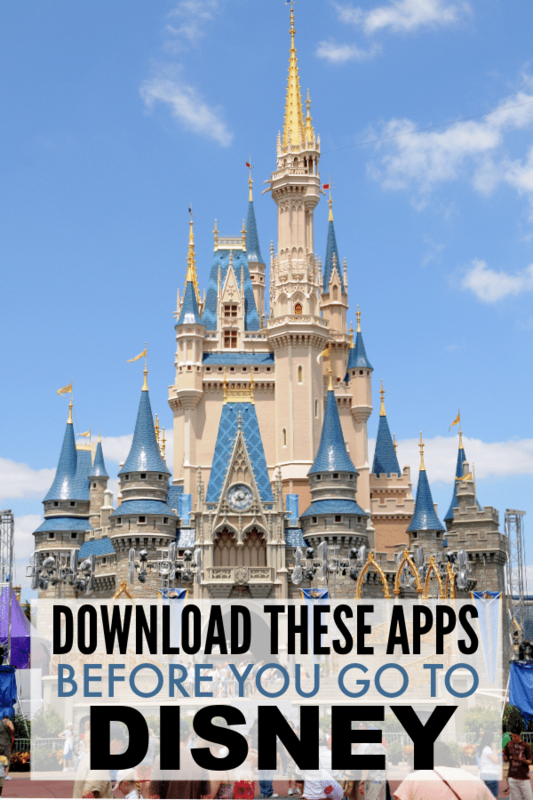 When it comes to visiting Disney, apps can be a huge lifesaver! The great part about downloading these apps on your phone and using them as a resource is that they are also accessible to you at any point in time when you are actually at the park, too! Have a question or need something answered? Pull out your phone and see if you can get your answer on one of these awesome mobile apps. You’ll be so thankful that you took the time to download them and have them as a handy tool when exploring everything that Disney has to offer. Clear out some storage space on that phone of yours and download the best phone apps for a Disney vacation before your trip! Trust me, they will come in handy for you and your family! My family makes fun of me for creating binders for everything. Not only do I use them to organize our entire home and family life, but I always create one for our big vacations. You can bet I had an EPIC binder for our Disney World vacation! I’ve put together a Disney Vacation Trip Planner to help you create your own vacation binder. If my Disney planner isn’t comprehensive enough for you, check out this 42-page Disney vacation planner on Etsy. Still want more? 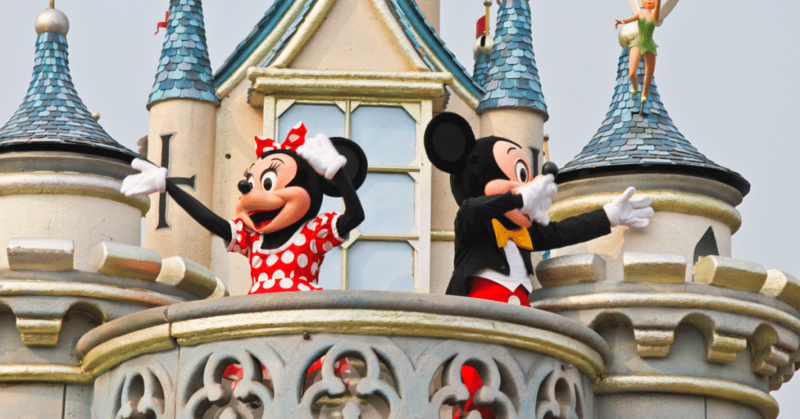 Here’s the Ultimate Disney Vacation Planner with over 80 pages! When we went to Disney, I bought several books to help me plan in addition to several items many people told me were “must-haves.” I’ve put them all together on my Heading to Disney Amazon List. FYI, the author of the Notescast app you mention is also the author of three great books; The Hidden Secrets & Stories of Disneyland, Disneyland In-Depth, and The Hidden Secrets & Stories of Walt Disney World. They’re all about the little hidden secrets and backstories hidden throughout the Disney parks by the Disney Imagineers for guests to discover and enjoy. Great info! We’re planning to go to Disney World next year and the planning is already started! How exciting!! I have a whole series of Disney posts planned for the next few weeks. Hopefully, you’ll enjoy the tips I’ll be sharing on how to save money on food and souvenirs and how to evaluate whether or not to get the dining plan. Great job planning early! You’ll definitely make the most out of your vacation by going prepared.